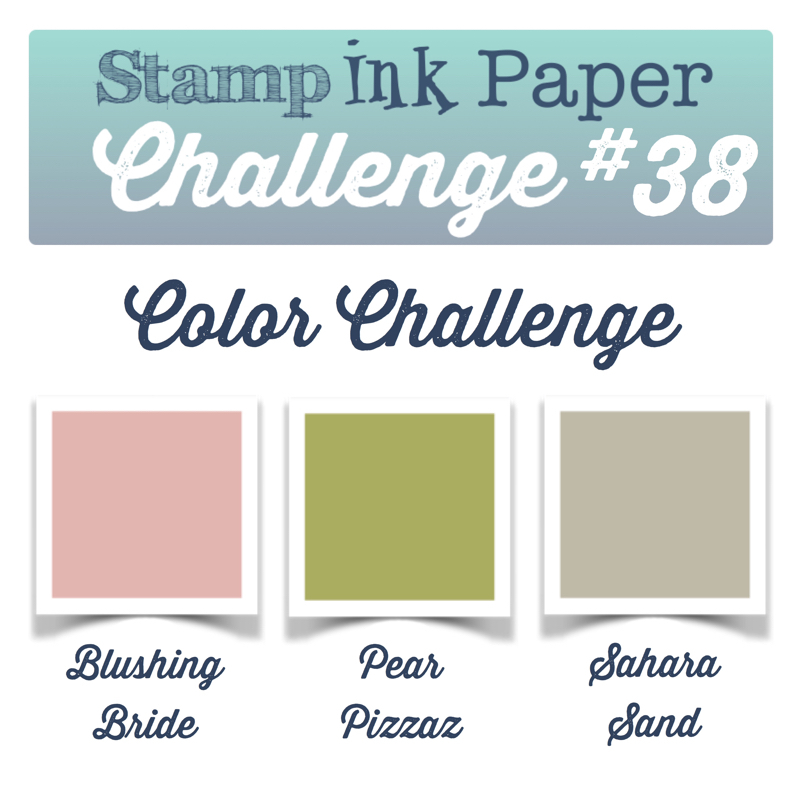 SIP Challenge 38 – Colors! Home / 2015-2016 Annual Catalog / SIP Challenge 38 – Colors! How was Monday? I had a nice one! I crafted in the morning for a bit with Andrea over FaceTime and then I ran over to see my friend Paul for a chat before heading over to Heather’s for some lunch. I had some really good pizza with hot peppers and a glass of wine. After that I came home and finished up some more crafty things before heading out to run a few errands with Heather. We ran to IKEA, Macy’s, TJ Maxx, BJ’s and Michaels! After she dropped me off I had a little dinner and then headed back over to Heather’s to watch a little TV before coming home and finishing up my evening. This morning I’m off to Manhattan for two days at The Ink Pad with Barbara! I’ll be staying with my friend Kim tonight! Love my Kimmie! Before I get to today’s post a bunch of you have asked for the link to my friend Sue’s Etsy store so here it is! This entry was posted in 2015-2016 Annual Catalog, Blog, Cards, Clearly Besotted, Crafts, Embellishments, Photopolymer, Pretty Pink Posh, Simon Says Stamp, Stamps and tagged Card Making, Clearly Besotted, Crafts, Simon Says Stamp, SIP Challenge, Stampin' Up!. Bookmark the permalink. Gorgeous! I love those beautiful blooms and the notebook edge! 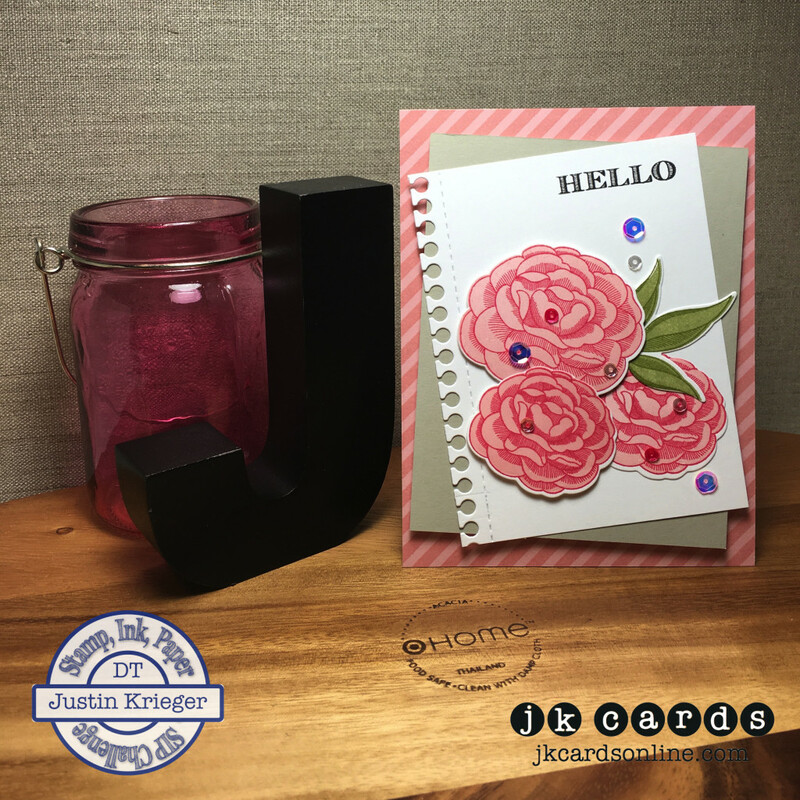 Your flowers are gorgeous and now those two step stamp sets are so much easier to use with the Misti! I do love the colors for this challenge. So soft and Spring like. After yesterday’s sudden snow which took us all by surprise, it is nice to wake up and see some beautiful flowers. Thanks Justin. Thank you Grace! The two step and three step stamps are definitely easier to use with the MISTI! Love that tool! Andrea did pick some great colors! Oh no! You had snow?! I hope that your Tuesday was the same as we had, just gorgeous! Glad that I got to brighten your morning! So pretty Justin! The colors are perfect. I love your layout, and those flowers are beautiful! You are one of the busiest folks I know, I’m exhausted just reading about your day. Your work is absolutely stunning. AWESOME AWESOME AWESOME love all your projects and glad I found your blog!